Transfers were this week! And.... our district all stayed the same. So no changes for us. But it's all good, because Elder Marquez and I are getting along super well, and we're having a great time together. 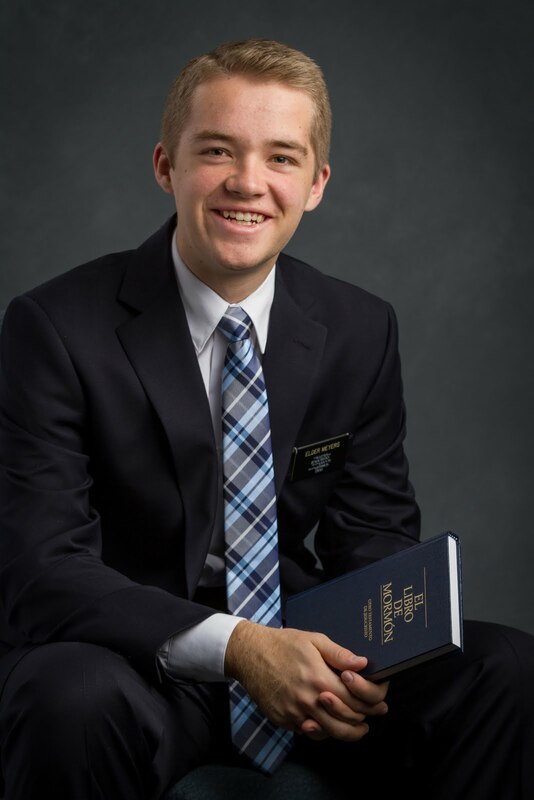 They did transfer Elder Maynard, which is sad, but he became one of the new asistentes, which is awesome. Starting this transfer we now have four asistentes, so that should be fun. This last week was super rainy, just like the week before. It rains all day every day, and if it's not raining it's cloudy, or there's this thing called llovizna, which is basically where it's misting from the sky. It's kind of weird, and I've never seen anything like it, but it happens all the time, so we're basically always wet. We also continue to walk in mud every day. It's a great adventure. Also, when it's not raining, it's ridiculously humid, and everything is always sticky or wet no matter what you do. You get out of the shower, and no matter how many times you dry off, you're still wet. It's awesome haha. Unfortunately this last week we had to drop some investigators due to reasons beyond our control. One had their spouse get angry with them and prohibit them from listening to the missionaries, another moved, another we had to pass to the hermanas because her spouse didn't want to continue receiving lessons, and we can't teach women without another adult male present. So that was a bit of a bummer. However, on the bright side, we continue to find new people to teach through our menos activo friend Miguel. Every time we go to visit him he seems to have a new friend over, and we always invite his friends to listen to our lesson. We are starting to plan big group lessons now this week, with Miguel and his friends, and we hope to be able to progress from there. We are also starting to develop better relationships with the few members who are here and hope to involve them more in missionary work this transfer. As a spiritual thought, this last week I was studying in the war chapters in Alma, and I realized as I was reading Alma that the whole chapter, which is about Amalickiah gaining power over the Lamanites, is an exact description of Satan and how he works with us. Lehonti and his men were on the mount, and would not come down, and as long as they didn't come down, no matter how many times Amalickiah sent a message to them, he couldn't do anything to them. However, once Lehonti came down just a tiny little bit, even though it seemed safe because he had his guards with him, Amalickiah began to have power over him, and eventually ended up killing Lehonti. We must not descend from the mount, even a little bit. Even the tiniest descension leaves room for Satan to begin working with us and bringing us lower and lower, until without realizing it, he's brought us all the way down the mount and begun to poison us. Stay strong on the mount, and don't descend! Our experiment turned out kind of interesting...We added too much milk so it was just like cooked pudding in the middle. But it was still good. Had to take a "Dad is great, gives us chocolate cake" photo. We also made a ton of torta frita (like scones kind of) because my companion loves it and it's tradition here to make torta frita when it rains.